The e-mail is still the strongest digital push media. Opening and click rates can increase extremely with the right content. Relevant topics like e.g. news of the field of interest or the weather forecast of the recipient’s residence, create much more attention than regular advertising mails. We show you how easy you can achieve more response with customized content in the long run. How does Content Marketing by e-mail work? Content marketing is a strategic marketing approach focused on creating and distributing valuable, relevant, and consistent content to attract and retain a clearly-defined audience – and, ultimately, to drive profitable customer action. There are plenty of reasons to speak selectivelly to your recipients with customized content by e-mail. Strengthen your customer rentention with relevance and current issues! Achieve a solid customer loyalty with relevant content. Get to know your recipients. So you can better reach his or her individual interests. About two thirds of all e-mail addresses are not active. Reactivate these addresses or clear up your address lists. 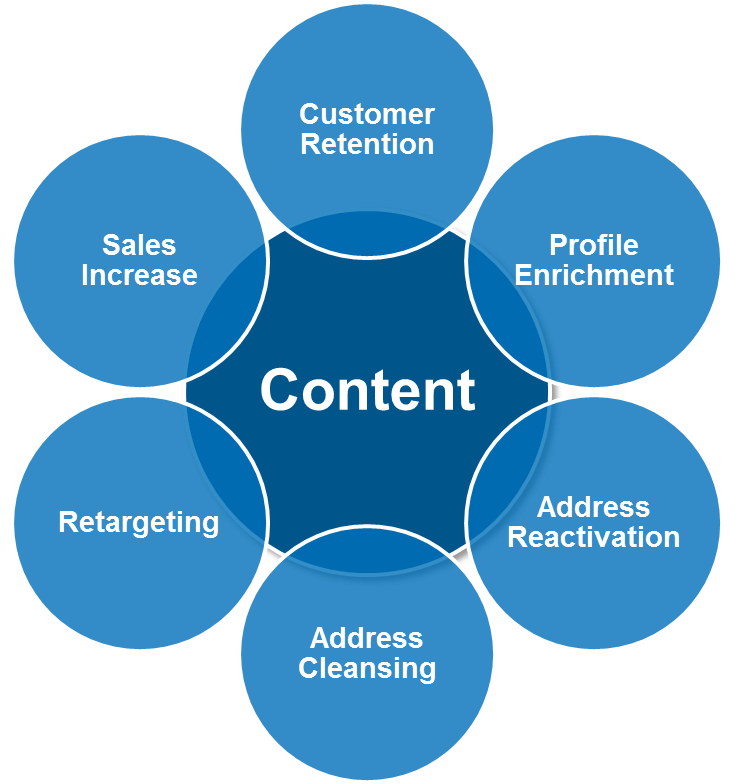 Content increases the success of your retargeting campaigns. Use relevant content as door opener for identification with your website. Achieve more turnover with a higher activity of your recipients. What options does the Content Package offer? Inform your recipients about their personal horoscope. 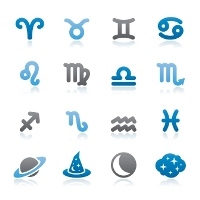 On the basis of the birthday the horoscope is identified for every recipient. You do not have the birthday of your recipients? Enrich your profiles and elicit valuable data for relevant content. You are welcome to receive detailed information upon request. The weather is the best conversation topic for small talk. 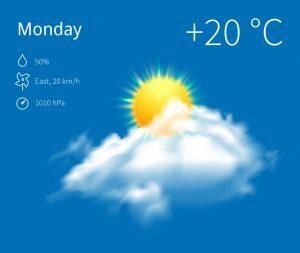 If you have the zip code of your recipient, you can integrate the local weather forecast easily in your mailing. Is the zip code not known, just invite your customers to enter it. A pictures says more than thousand words! You can get the highest attention with the integration of personalized pictures in newsletters. Many different personalized motives can be implemented in your campaigns. There are pictures for different categories, e.g. celebrations, emotions, food, birthday, natures, sports, technique. The Content Hub offers you various possibilities to automatically process external content in the EMM. Especially if the recipient can create his own content via a preference center, the Content Hub is an almost indispensable addition to the E-Marketing Manager. Your editors work in familiar CMS tools and create their content there. The Content Hub processes the content from various sources according to an arbitrary set of rules and makes it available to your recipients. In addition to editorial content, you can also use the Content Hub to manage media slots in your newsletters. The Content Hub also offers ad hoc dispatch for breaking news as well as manual content creation and an interface for customer service staff.